"That was the first time I saw a dead person, and that image still haunts me 20 years later." 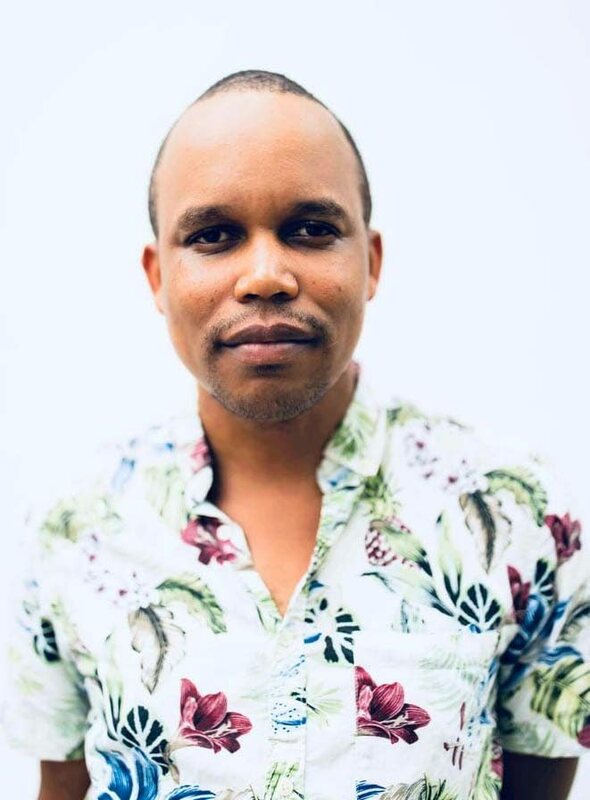 It was this experience that inspired him to make the drama/thriller feature film Cargo, which opens in cinemas in Trinidad on March 20, a first for a Bahamian film. Mortimer recalled in a telephone interview his great-aunt told him the story of his grandfather, who was from Trinidad and grew up in St Joseph. He lived during a time of rationing and economic depression, and in the 1950s left this country for The Bahamas for a better life for him and his family. "It is really great to show a film in one of my ancestral homelands and to have my cousins be there and enjoy the film as well, especially in a time when there is talk about migration and people looking for better ways to provide for their family." He said his film is a talking piece and is "really entertaining as well." A scene from the film Cargo. The film previously debuted in Aruba, Bahamas, Barbados, Curacao, Jamaica, Guyana, Grenada, Suriname and St Lucia and will be released in the US and Canada in the summer. It has won five awards: Best Feature, Silicon Valley African Film Festival; Bahamian Icon Award; Best Film, Haiti International Film Festival, Los Angeles; Trident Award, Barbados Independent Film Festival; and Amnesty International Human Rights Prize for Film, TT Film Festival in 2017. 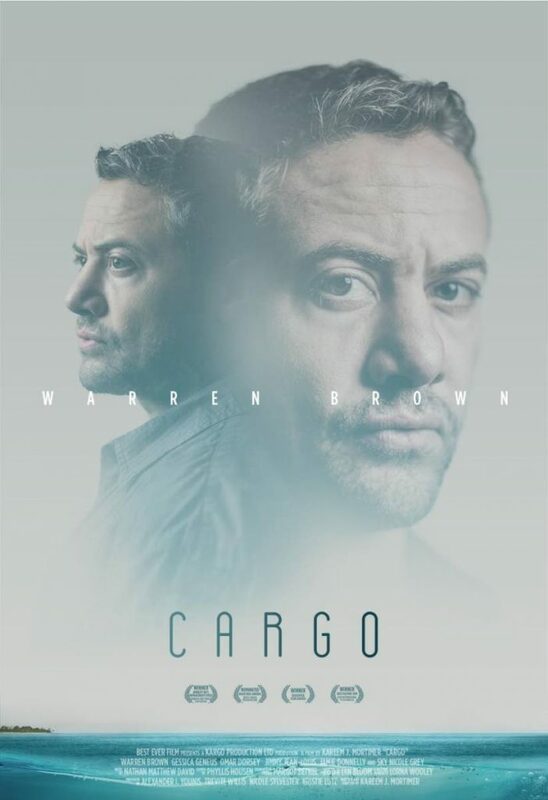 Cargo, inspired by true events, tells the story of a sensitive fisherman who becomes a prolific human smuggler to pay off a gambling debt and provide for his family. Written, developed, funded and produced entirely in The Bahamas, Cargo stars British actor Warren Brown of the BBC America critically-acclaimed crime drama series Luther, which stars Idris Elba. Cargo also features Omar J Dorsey (Django Unchained, Selma), Jimmy Jean-Louis (Heroes, Tears of the Sun), Persia White (The Vampire Diaries, The Marriage Chronicles) and Gessica Geneus (Moloch Tropical, Bird People). Mortimer is a filmmaker, theatre director, curator and video artist who over the past five years has won more than 30 awards for his projects. His work has been distributed in 52 countries. His film work includes the shorts Float, She, Chance and Passage; the documentaries The Eleutheran Adventure, I Am Not A Dummy and Chartered Course; and the feature films Children of God, Wind Jammers (co-directed with Ric Von Maur) and Cargo. In a statement on the film Mortimer said: "Throughout my life I have often asked myself who are these persons that would take this journey and who are these persons that accommodate these requests? As the characters started to appear in my head and throughout my research I noticed several themes that kept popping up. The dominating theme was dignity. Dignity in my opinion is the state of being worthy of esteem." He said this was a quality all human beings desire to have "but unfortunately we are not privy to as we are not all created equal. What risks are these characters willing to take for dignity (our refugees) and what risk are the privileged (traffickers) willing to take to preserve dignity? This is the central question of the film and the approach to making the work reflect that." Cargo will be screened at MovieTowne Port of Spain, Chaguanas and San Fernando and Caribbean Cinemas Trincity and Southpark Cinemas 10. Reply to "Award-winning Bahamian film Cargo for TT"